We’ve already covered Chase’s flagship credit cards, which bring huge benefits to frequent travelers. 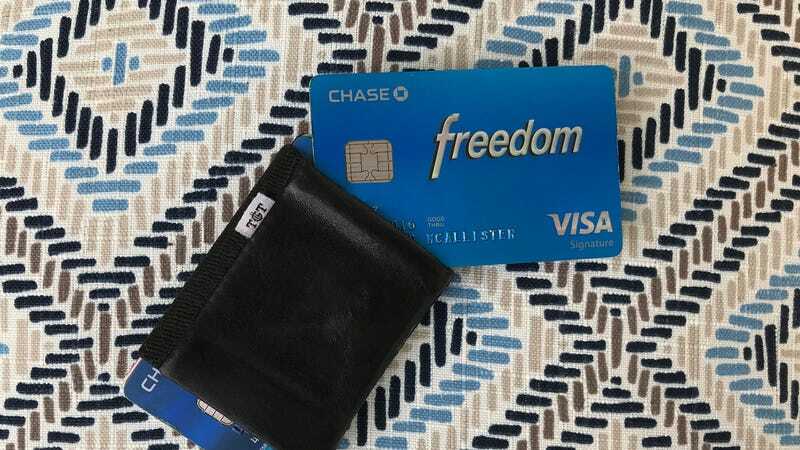 Today we’re talking about the Chase Freedom, a no-fee card that everyone can get a lot of mileage from. Unlike the fixed categories of the other Ultimate Rewards cards, the Freedom features rotating 5% back bonuses on categories like restaurants, gas, and department stores. There are predictable patterns like the Q4 bonus typically focusing on shopping, but also room for surprises. Back in Q4 2015, the Freedom had an incredible 10% back on Amazon promotion, for example. The Freedom’s rotating 5% bonuses are limited to the first $1500 spent in a given category, and your mileage will of course vary depending on where your money typically goes. The gas bonus is of no use to me living in New York City, but I easily max out the restaurant spend each Q3. The Chase Freedom is, of course, part of Chase’s Ultimate Rewards program. Ultimate Rewards is an ecosystem of several credit cards that when taken together, grant industry-best returns in most shopping categories. The Freedom doesn’t bring the same kind of massive signup bonuses to the table that the Reserve and Preferred do, but its bonus is also much more attainable- kicking you back $150 after you spend $500 in the first three months, plus another $25 when an authorized user makes a purchase in that same period, in addition to the 5% cash back you’ll earn on bonus categories, and 1% on all other purchases. Things get really interesting though when you pair the Freedom with a Chase Sapphire Preferred or Sapphire Reserve, which allows you to convert your Freedom’s cash back into valuable Ultimate Rewards Points. That means your $150 sign-up bonus becomes 15,000 Ultimate Rewards Points, and your $25 authorized user credit is good for 2,500. The value you get out of those points will vary based on how you use them, but if you play your cards right (heh) and leverage Chase’s network of transfer partners, those points could be worth several cents each. Shep even redeemed 50,000 of his points for two flights to Hawaii at a rate of over 4 cents each! There are many reasons you might want to “downgrade” one of your credit cards to a no-fee version, rather than closing the account (which can hurt your credit score). The obvious scenario in the Ultimate Rewards program being when a customer already has a Preferred and wants to upgrade to the Reserve. If you already have a Chase Freedom, that “downgrade” maneuver is a great opportunity to get a second Freedom and double your quarterly 5% bonus opportunity. Just note that when you do this, you won’t be eligible for a sign-up bonus. Another consideration is Chase’s “5/24" rule, a loosely understood set of guidelines which boil down to the fact that if you’ve opened five or more new credit cards in the past two years, Chase is more likely to deny your application. Because of this rule, you may want to prioritize getting the Preferred or Reserve for their huge signup bonuses first, before adding the no fee cards to your arsenal.